The ambitious south bank project – a major undertaking which is developing successfully. The drive and enthusiasm of the committee and members to keep moving forward and introducing new projects to enhance their site. The wide range of partnerships and networking which brings welcome funding, supports different sectors of the community, and secures the viability and sustainability of the site. The use of social media to publicise the work of the group and keep members and volunteers informed of progress. 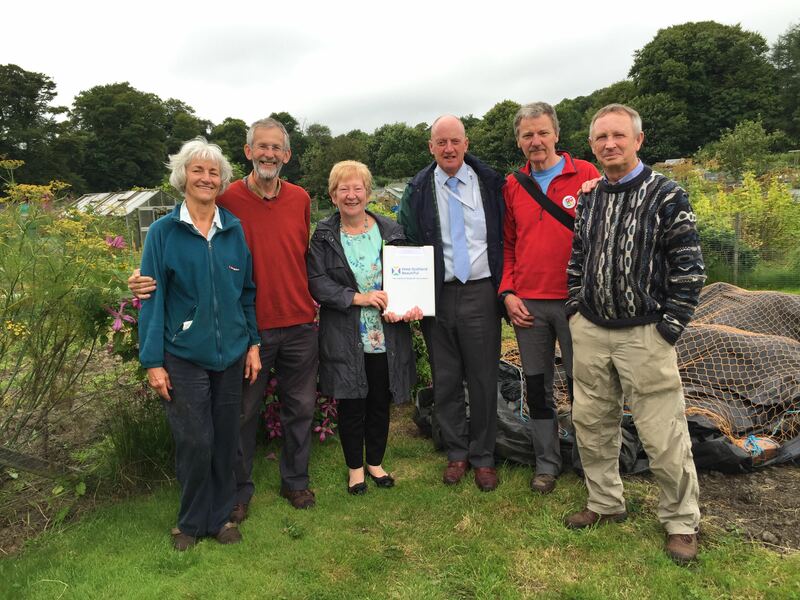 We were also pleased that the assessors noted an overall improvement in the condition of many of our plots and recognised this with a higher score for gardening than we have been awarded in the past. Thanks are due to all of our plotters who contributed by looking after their own plots and helping with work on verges and paths and around the site generally. Likewise, this year we have had more help from plotters on Community Sundays and from our small, but growing band of volunteers from ACVO and the wider community.